We have emerged as the foremost manufacturer, trader and supplier of a comprehensive range of Used Cartons. Mostly used in packaging industries, these cartons are ideal be used for shipment of beverages, cosmetics, plastic bottles and many more products. Being a quality driven company, we assure our clients that these cartons are excellent on counts of quality & durability. 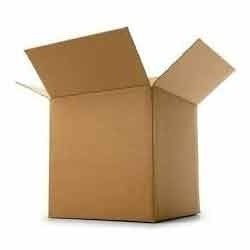 Furthermore, we provide these cartons in numerous sizes and shapes at reasonable rates. We “Balaji Advertiser” are renowned entity occupied in manufacturing, trading and supplying wide assortment of Corrugated Boxes, Bubble And Corrugated Rolls, Bar Code Stickers And Ribbons, Carry Bags, Poly Bags, Danglers And Catalogue, Stretch And Shrink Films, Sun Pack Sheets, BOPP Tapes, etc. Established in the year 1999 at Faridabad (Haryana, India), we have setup a state-of-the-art infrastructural base. The infrastructural base comprises various divisions such as Procurement, Production, Quality Control, Warehousing , Packaging, Sales , Marketing ,Transportation & Logistic. All these divisions are handled by highly experienced team of professionals. Owing to our fair business policies, on time delivery, reasonable price structure and client-centric approach, we have been able to gain trust of reputed organizations such as Jubilant Life Science, Glenmark Pharmaceutical, Piramal Healthcare, Auchan, Big Bazaar, Food Bazaar, Max, Lifestyle, VMI Group, EON Energisin Smiles, Uninor etc.